Jaguar’s I-Pace is finally here, and as expected the vehicle is an almost exact carbon copy of the concept bearing the same name that we saw unveiled at the 2016 Los Angeles auto show. 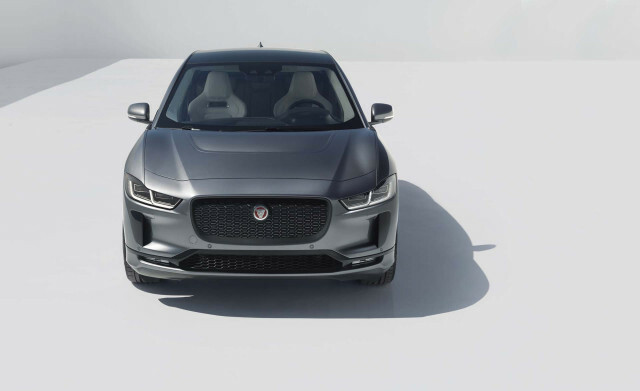 Responsible for the design is Jaguar design director Ian Callum who took inspiration from the Jaguar C-X75 supercar concept of 2010 when first putting pen to paper for the I-Pace project. This is evident in the wave-like waistline, cab-forward proportion, and the design of the air curtains in the front fascia. For the interior, Callum ensured that the I-Pace maintained physical controls for important vehicle functions instead of relying solely on touchscreens. That’s why you’ll still find handy knobs and buttons in the I-Pace. The I-Pace will reach showrooms later this year, as a 2019 model. It will boast a 240-mile range from its 90-kilowatt-hour battery, a combined output of 394 horsepower and 512 pound-feet of torque from two electric motors, all-wheel drive, and a 0-60 mph sprint of 4.5 seconds. Pricing will be announced at the debut at the 2018 Geneva International Motor Show, which starts March 6. For more coverage, head to our dedicated hub.